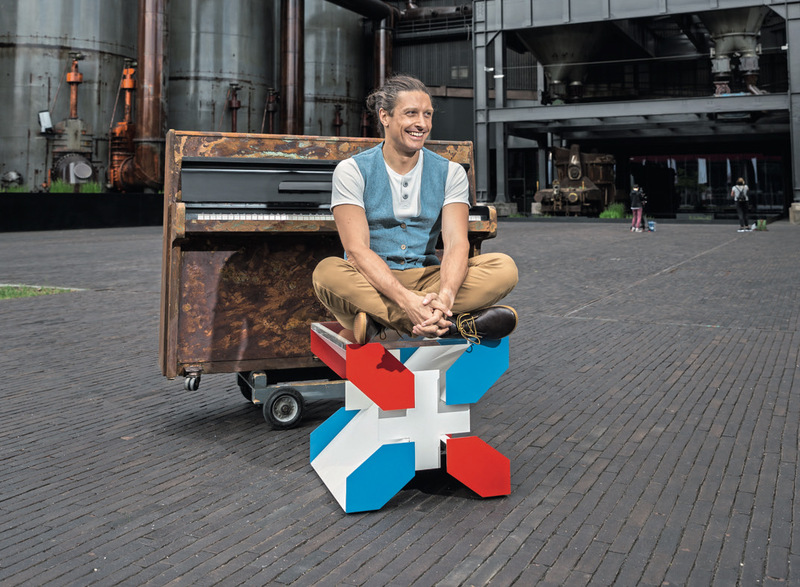 David Ianni is a pianist-composer from Luxembourg who has undertaken a unique project celebrating the European Capitals of Culture, composing and performing pieces for solo piano and working with a local designer to produce a custom piano that will be given as a gift to each city. David has just released the second piece of twelve in the “My Urban Piano” series, and I caught up with him to find out more about the project, and how Dorico is playing its part. DS: How did you come up with the idea of the “My Urban Piano” series? DI: In summer 2016 I composed a little piano piece for Mother’s Day and made a music video in which I played the piece on several colourful pianos that had been placed on different public places in Luxembourg during “My Urban Piano”, an initiative by the city of Luxembourg. The video (called MAMA) went viral, and the idea to record similar videos all around Europe was born! I am an European at heart. That’s why I decided to visit twelve European Capitals of Culture for “My Urban Piano”. The project began in April this year with episode 1, Train of Dreams and will come to an end in late 2018 in my home country Luxembourg where it all began. DS: For each city you’re visiting you’re using a specially designed piano for that city, which you are donating to an institution in that city. Are you working with different designers for each city? What’s the process of designing a piano for a city like? DI: I want to work with local artists to design my pianos. 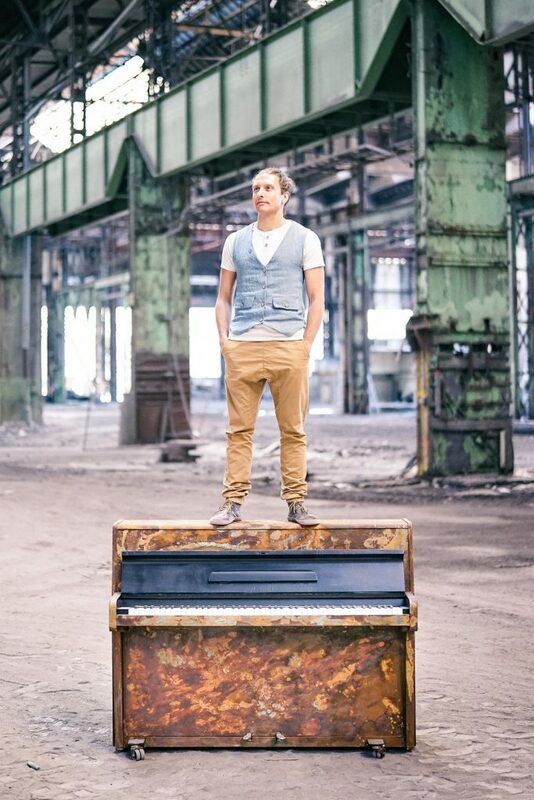 For instance, the piano for the second music video (my former home town Esch in Luxembourg) was designed by Raphael Gindt, a young artist who has his atelier in Esch. Since this city has had a long and successful history of steel industry, the piano was coated with a special colour that would rust after a few days. The “Heartland piano”, as I lovingly call it, is probably the only rusty piano in the world. I want each piano to be designed in a way that it relates to the city and to the piece that I compose for each city. DS: The videos you’ve released so far in the series each tell a story. What is the collaboration like that gives birth to these videos? Are you coming up with the stories yourself, and where does the inspiration come from? DI: The concept of “My Urban Piano” is centred around the piano composition that I will play on a designed piano in a specific city. But apart from this fixed frame, each video will be unique, whereby the filmmakers have no restrictions whatsoever regarding their concepts of visualisation and narration. I might specify some locations that I wish to have in the video or I might plan to work with an actor/actress, like I did for Heartland, but the main inspiration for the director should be the music. DS: You’ve switched completely to Dorico from your previous scoring software. What has that transition be like? DI: The transition to Dorico was not very hard since I wanted to leave my old software for good. There hadn’t been any substantial updates in years, which was frustrating. As I knew that the people behind Dorico are enormously talented and experienced in their field, my expectations were high. And indeed, the Dorico team delivered an amazing piece of software. When I compose, Dorico vanishes in the background and allows me to focus completely on the composition process. 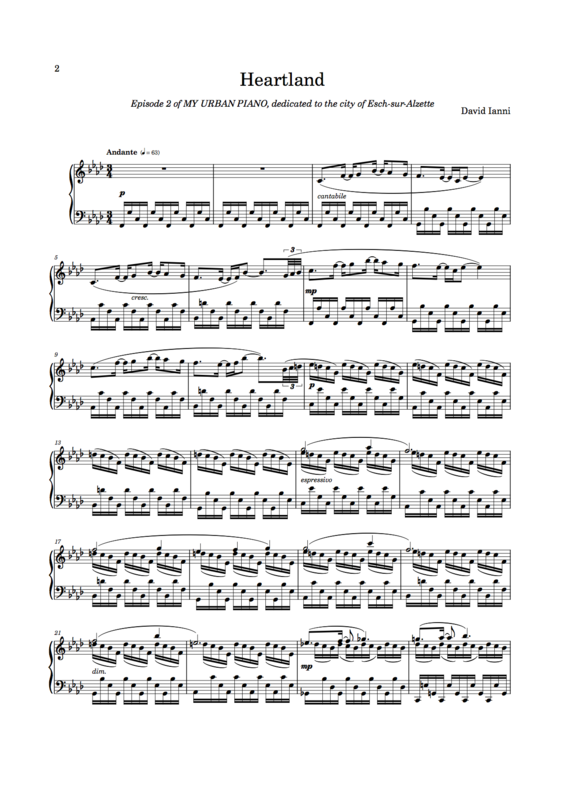 It is fantastic to see how determined the developers are to make Dorico the best notation program in the world. I think that they have already succeeded and I am confident that they will keep surprising their growing user base with brilliant updates. I don’t see myself going back to a different product. DS: Where will your “My Urban Piano” series be taking you next? DI: Episode 3 of “My Urban Piano” will be filmed in Aarhus, Denmark, which is one the two European Capitals of Culture this year. The cities after that will be Prague and Berlin. In 2018 we will produce another 7 music videos that I will announce over time via my my newsletter and on my Facebook page. It’s a wonderful journey, and I look very much forward to continuing this exciting adventure! Thanks to David for taking the time to talk about My Urban Piano. Look out for further posts in the Dorico showcase series soon.